Way back in the mists of time early last year, at the EDAC CEO forecast panel, we were asked to forecast the stock prices of Cadence, Mentor, Magma, MIPS and Synopsys. 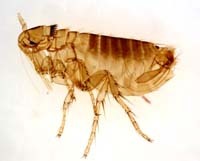 See "we are fleas on a sick dog." I went back and looked at my predictions. I forecast (well, guessed would be a more accurate verb) that Cadence would be 6 (up from 4), Mentor would be unchanged at 5, Magma would have been taken private, MIPS would have been acquired and Synopsys would have declined to 15 from 18. The stock market for the year has been much stronger than I would have forecast which means that I was being too pessimistic. Well obviously Mamga didn’t go private (its stock is 2.31 today, way up from its low for the year of 0.68). MIPS is still hanging on as an independent company (its stock is 4.37, also way up from its low for the year of 1.04). Mentor gradually climbed up for much of the year and ended up at 8.83. Synopsys went up, not down as I forecast, and ended up at 22.28. But Cadence came through for me. I predicted 6 and they obligingly ended the year at 5.99. This entry was posted in eda industry. Bookmark the permalink.